“Holy red carpet, Batman,” I mutter, pressing my face against the tinted black window. We’re a block away from the theater, and the crowd is already staggering. Flashes light up in the distance, the noise is deafening even from in here, and all I want to do is head back home to the safety of flannel pajamas. This isn’t my first rodeo. I grew up going to premieres with Dad. But I don’t remember it ever looking this crazy. A rock settles in my gut, and my face must fall because her fluorescent smile dims. 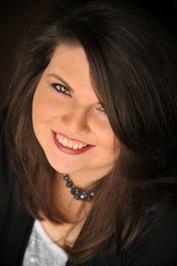 Marlena Adams is the world-famous director of the film, and Mom’s good friend. They’ve done several movies and frequently show up together at events like this. Is it weird that I’m jealous of an almost middle-aged woman? Rance snorts under his breath. We still haven’t gotten a chance to talk, really talk without Caterina or camera-toting vermin listening in, but it’s on my to-do list tonight. He’s the one person out of all of this that may just understand. He’s in the muck of it as much as I am. And the more time we spend together, the more this feeling of connection grows. Not the same kind I felt when I first saw Lucas, as if the universe was pointing in flashing neon, saying, “Look here! This guy is for you.” This feeling is gentler, easier. But no less real. Her answering wink is so full of life and affection, I want to capture it on canvas and stare at it forever. Then the limo rolls to a stop, and she tugs her phone out of her clutch. We’re behind a few cars, but that doesn’t stop the crowd from noticing us. As Caterina chats with whoever is on the other end—a publicist, manager, or one of her many minions—the attention starts. First, just a few heads turn. Then a dozen more. Questions come flying at our closed door, flashes go off, and I throw myself back into my seat. Logically, I know they can’t see me through the tinted windows…but try telling that to my skyrocketing pulse. My stomach locks, my heart is in my throat. Where the heck’s a brown paper bag when you need one? I feel like an idiot. I have no clue if it’s helping or not. But at least I’m no longer focused on the terrifying crowd. That’s a plus. A negative would be Mom craning a dark eyebrow in my direction like I’m a wacko, but she just pats me on the knee and continues talking on her phone, as I continue breathing. Off the bat I loved Rachel Harris’s Super Sweet Series, they are books that are cute and fun to read. Even though they have conflict they still have that pick me up quality. My No So Super Sweet Life is revisiting Cat’s story and how she deals with life without the time travel aspect. Her and Lucas are officially together (after she got past the whole doppelganger thing) and navigating your normal teen relationship. Well normal except when you add a famous mother and a father who has lost himself to the mix. We get two perspectives in MNSSSL, both Cat and Lucas. I liked that we get to be in Lucas’s head for this one. I was sad that Alessandra and Austin although present have smaller roles. I kind of missed them I admit. I also missed Reyna but she’s gone but not well gone don’t worry you get her taste of her in this book. Cat has some issues still that were not fully resolved in the first book. Although she grew and learn to become more open. Which meant including Jenna in her life and letting Alessandra and Lucas past her walls. She’s definitely got some unfinished issues with her mom. When Cat’s mom shows up again she has to take a big risk in order to get the chance to have her mom back or finally put the nail in that coffin. One thing I really liked about the mom issues is how everyone else couldn’t really understand. Jenna, Alessandra and even Lucas wanted her to stay away from the crazy. Expected Cat to deal with the situation by sending her mom off and saying don’t come back. I felt that was more realistic and the fact that Cat had to deal with people might not understand why she wanted to reconnect with her mom. It’s easy to say that as an outside source but not so easy as the person dealing with it. Something that bothered me about Cat was that she was so wrapped up in our own issues she was kind of missing out on things with Lucas. He finally confronts his dad about soccer, his brothers death and has to deal with the possibility of moving that always seems to be looming over their heads. Of course there were times that I was frustrated with Lucas for not understanding why Cat wants that mom connection even though it might not pan out. All part of the relationship learning curve. The book has a good dynamic amongst it’s characters and a fun little surprise that I won’t spoil for you. Even though Reyna is not present that doesn’t mean the stars are not still at work. 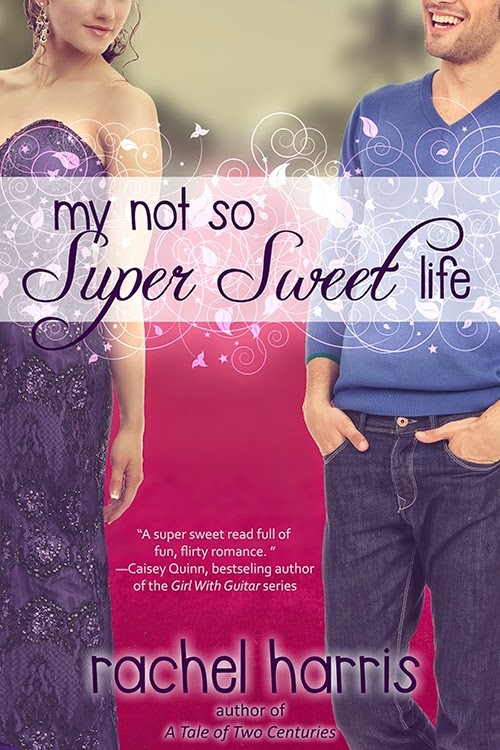 I love this series and My Not So Super Sweet Life is a great addition. I walked away with a smile on my face per usual. She grew up in New Orleans, watching soap operas with her grandmother and staying up late sneak reading her mam's favorite romance novels. Now a Cajun cowgirl living in Houston, she still stays up too late reading her favorite romances, only now, she can do so openly. She firmly believes life's problems can be solved with a hot, powdered-sugar-coated beignet or a thick slice of king cake, and that screaming at strangers for cheap, plastic beads is acceptable behavior in certain situations. 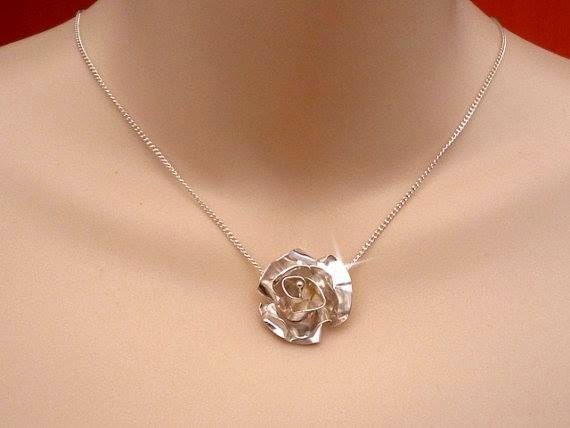 1 a handmade sterling silver necklace that retailed over $130. It is an eight petal rose and a replica of the one Lucas gives Cat for Valentine's Day in the book. And 1 rare, signed paperback. US Only. this part of your review - 'Even though Reyna is not present that doesn’t mean the stars are not still at work.' is so true!! and like you, I was worried for a moment that Cat might neglect Lucas to spend more time with her undeserving mother but as if Lucas would ever let that happen ;) he swooned her off her feet before Caterina could dig her claws into Cat's vulnerable heart! go Lucas!! I agree Cat was a little self absorbed at times,but that made it seem more realistic.Love that review. The book was amazing - you're right about walking away with a smile on your face. Oh that's right! I forgot that the book is also narrated by Lucas. *sigh* I need to go get this book! Ah! That excerpt ws great! I can't wait to read this one.